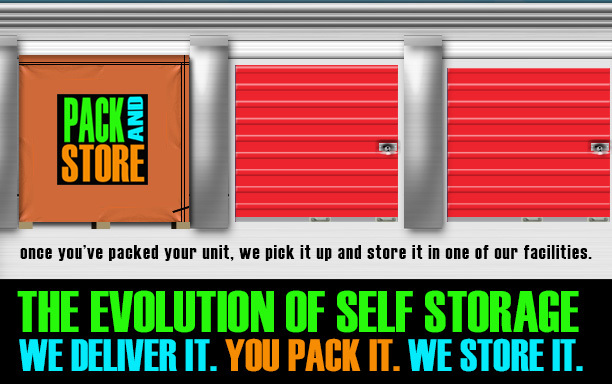 Pack and Store Toronto Self Storage is one of the first, and most popular mobile storage companies in Toronto and the Greater Toronto Area. Our mobile storage containers are approximately 5 x 8 x 7, and each can hold the contents of a small bachelor apartment – or the equivalent of one and half rooms worth of furniture. Our Toronto storage facility houses the containers and is heated in the winter, ventilated in the summer. Our Toronto self storage facility is secure and has 24 hour security cameras both inside and outside of the building. Customers are welcome to access their container(s) at any point in time, provided that we are given 24 hours notice. Submit a no-obligation self storage quote request today! 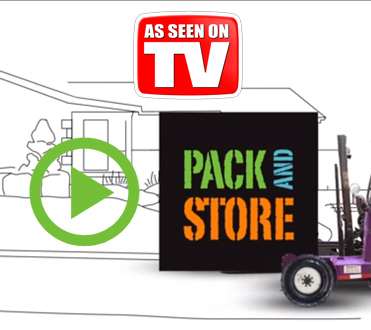 With delivery anywhere in the GTA (as well as to some select locations outside of the city), Pack and Store is the clear choice for Toronto self storage and all your mobile storage needs. Toronto has many apartment buildings, condos, townhouses, and small housing districts, which can make it difficult to accommodate a large moving container for an extended period of time. This means that self storage in Toronto requires particular accommodations. Pack and Store mobile storage containers are smaller and are able to accommodate Toronto storage needs and urban lifestyles. With Pack and Store self storage containers, all you need is a parking space (or the equivalent) and you will have more than enough room. Pack and Store portable storage containers are constructed out of wood which gives our storage units complete, and unobstructed breathability. You don’t have to worry about any mold or mildew compromising the integrity of the goods you will be storing. The containers are also brought out to you with a weather-proof tarp already placed on the unit, so you don’t have to worry about any rain or snow causing leaks and ruining your things. The flatbed truck we use to make our deliveries can fit up to 5 storage containers on it at once, which means that even if you have to take more than one storage container, you will only be paying for one delivery and pick up. Lastly, with our method of transporting your storage container(s), you never have to worry about your things shifting around while we move your storage container. We use a small forklift to do all our moving, which means your storage container always stays completely vertical, and is never tipped. 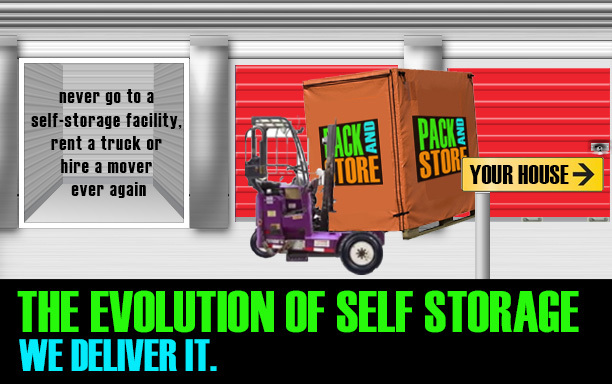 At Pack and Store Mobile Toronto Self Storage, we are dedicated to customer service in every way. We can guarantee from the first phone call, to the final re-delivery, you will be very satisfied with our services. 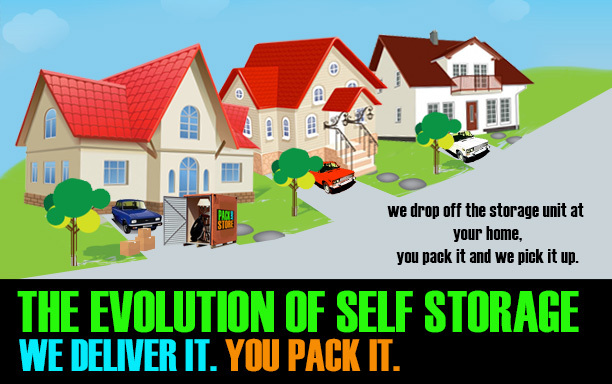 Give Pack and Store Mobile Toronto Self Storage a call today to get more information about our Toronto Self Storage services. We look forward to hearing from you!